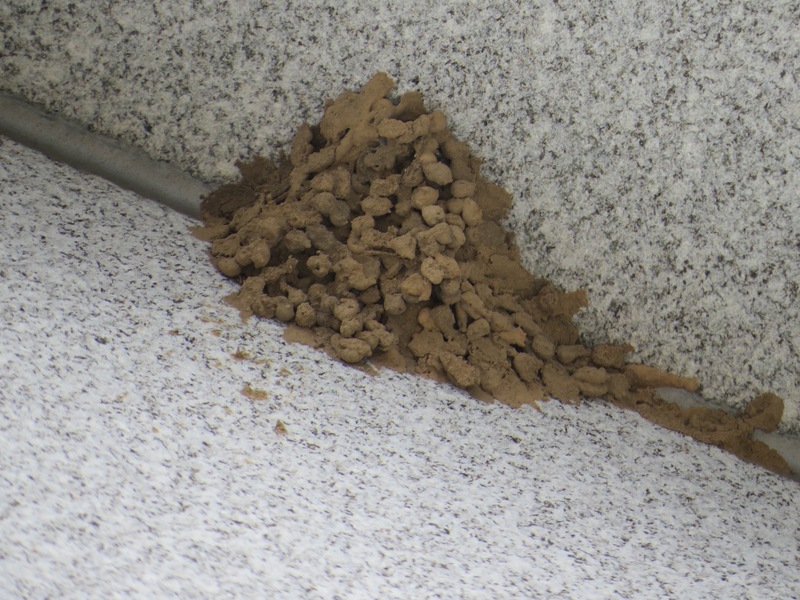 Wasp nests, provisioned with spiders and other delicacies for larvae to eat. Vintage ’17, awaiting the warmth of ’18. 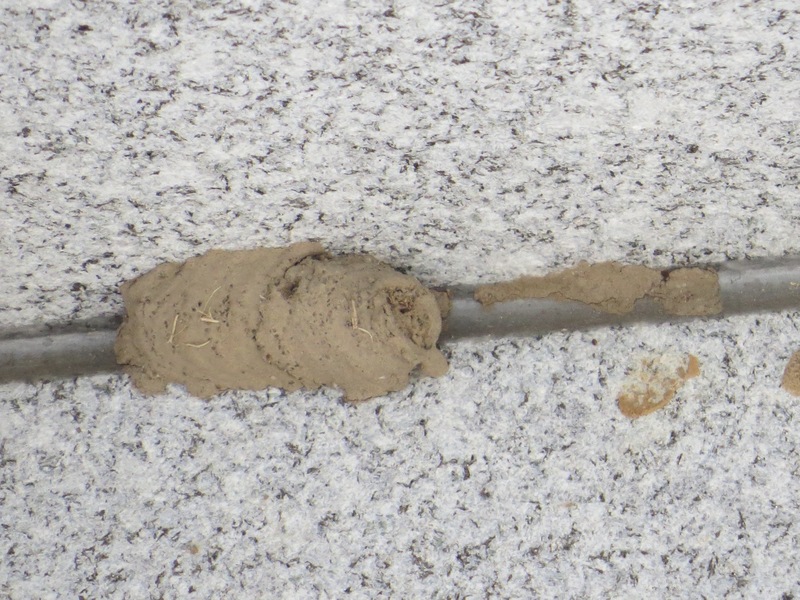 I had a Black & Yellow Mud-dauber Wasp under the balcony at my Cobble Hill apartment. 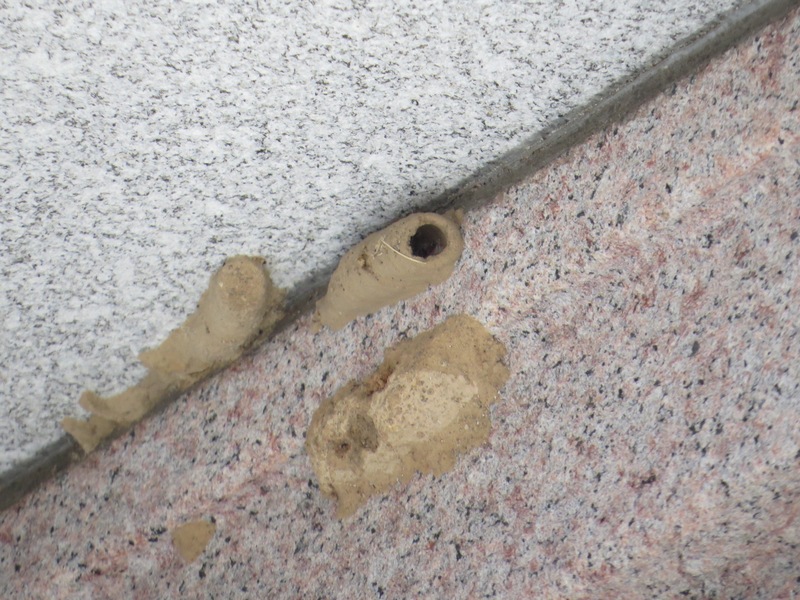 The brand new adult wasps emerged in June.